Help Us Donate to the Mars Generation! Last year, we did our best to help donate to the Mars Generation and to help them reach their goal of $20,000! We were able to help them, and we raised almost $150 for them. This year, we want to raise 8x that. The Mars Generation is a non-profit that helps kids get excited about STEM. Started by Abigail Harrison, or as many know her, Astronaut Abby, in 2015, The Mars Generation has been helping children get into Science, Tech, Engineering, and Math ever since. This year, it's their 3rd Annual #TrainLikeaMartian challenge. The challenge 'is a week of fun activities that brings awareness to the importance of science, technology, engineering, arts, and math (STEAM) education, space exploration, and physical fitness to students and adults around the world' according to their website. 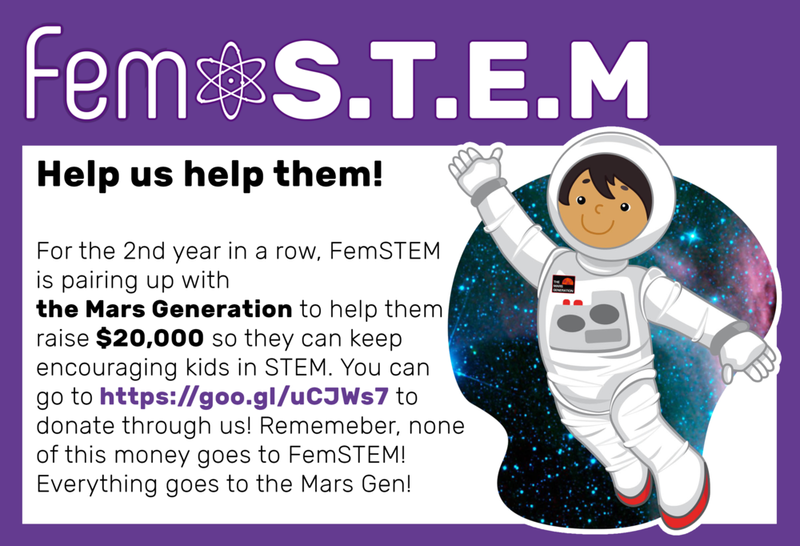 Last year, FemSTEM got involved, and we want to get involved again. We did some of the challenges ourselves, as well as started a fundraising page to help raise them up to their goal! Here is our current fundraising page to help them out this year! If you donate, all of the money goes directly to the Mars Generation -- we don't see any of it. This is not sponsored by them in any way, shape or form, it's just a fun way to help our fellow STEM-lovers help others! And -- if you donate $25 or more, you get entered into their daily prize drawings as well as their grand prize drawings. You can learn more information about their prizes here. On top of that, you'll get a handwritten thank you card from us no matter how much you donate (as long as you donate through our fundraiser here). A few weeks ago, MARS INC. contacted me, asking me to interview four of their Women in STEM. * Over the next few weeks, their interviews will be posting one by one. 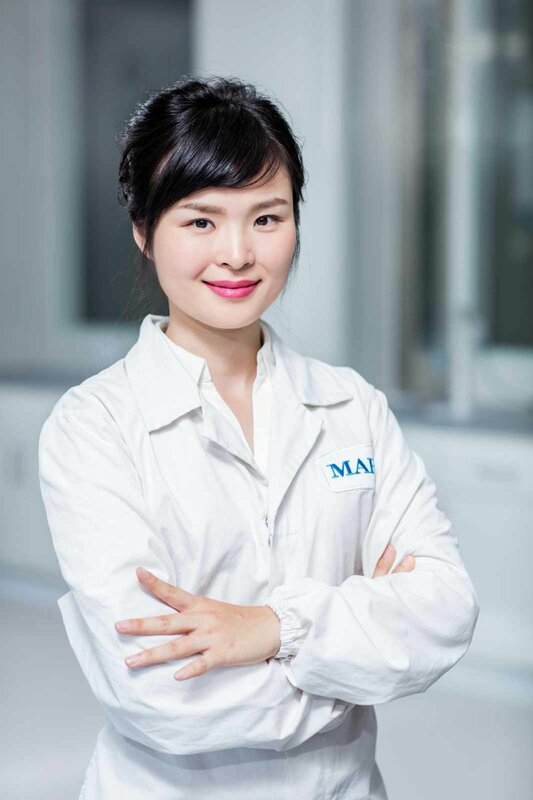 This interview is with Cui Wang, who works in the Global Food Safety Center for MARS in Beijing. Q: Hello, Cui! Thank you so much for sitting down to answer some of these questions. I know that our readers are going to find your job in STEM fascinating! Food safety isn’t always something we talk about until there’s a dangerous bacterial breakout of some kind due to something wrong with our food. So, to go along with that, my first question is: what sparked your interest in the science of food safety? A: In line with my original plan to pursue a career in the pharmaceutical industry, I started out conducting research to support the production of vaccines from fermentation at the beginning of graduate school. However, my interests changed after several serious food safety incidents were reported just after I had my first baby. I suddenly realized the importance and value of food safety and decided to adjust my career path to help ensure and secure the safety of safe and healthy food. I really hope that I can leverage my expertise to help reduce the risk of food safety issues in the future and this is what I’m working on together with my fellow Associates at the Mars Global Food Safety Center. I love food and I’m passionate about this space, which definitely helps! Conducting this meaningful work is my passion so I am constantly encouraged to go further. Q: What steps were taken in order for you to reach your PhD in Applied and Environmental Microbiology? A: I took the opportunity to be a research assistant supporting projects in two national key labs while I was in university and this is where I discovered my interest in Applied and Environmental Biology (AEM) research. I began preparing applications for PhD programs in AEM, which meant taking the TOEFL, GRE tests and going through the interview process, etc. After successfully obtaining a place at Georgia State University, I spent the first two years attending training courses to learn new microbiological lab skills, and designing and writing the proposal for my PhD project based on my committees’ instructions and my interests. At the same time, I was a teaching assistant supporting biology and microbiology courses for major and non-major college students. After passing the necessary exams, I became a senior PhD student and started my proposed project and also took part in other related projects. I trained several Masters and junior PhD students to become team members so that they could support different research projects in areas such as scale-up fermentation, molecular biology, protein purification, anti-fungal research and fruit ripening research. As part of this, I also communicated and collaborated with other senior PhD students, professors, and experts during seminars and conferences, and even through daily work. This helped to accelerate my development through brainstorming projects combined with coaching and mentoring. Of course, conducting experiments and spending a great deal of time in the lab were essential in demonstrating the hypothesis of my proposal. With solid data from these experiments, I passed my dissertation and finally received my PhD. Q: Can you briefly explain what a day at your job as a microbiology research scientist is like? A: At the Mars Global Food Safety Center, I conduct scientific research to generate insights and explore solutions for some of the biggest food safety challenges facing the industry today. For example, I am leading several research projects focused on controlling aflatoxins, one of the most potent, naturally occurring liver carcinogens that we know of today. On our planet, 4.5 billion people consume food that contains aflatoxins every day. One of my projects aims to understand the correlation between the reuse of jute bags for ingredient storage (for example maize) and mycotoxin risk. I also aim to provide practical advice that could be easily adopted by farmers to help them reduce the risk of aflatoxin contamination. To accomplish projects such as this, it is necessary to keep close communication with our global partners, whilst also being able to deliver our work in the lab. During the working day, I design technical plans to achieve the objectives of my projects, train the lab assistants and conduct experiments with them, analyze data, conduct trouble shooting and review the progress of projects. I also communicate food safety information with internal and external resources, and support other team members as a consultant. Q: Something I found interesting about your position is that I was told that it was non-competitive. So, the information that you discover and research is shared across the world with different partners, so that we can all have access to this information on how to keep our food safer. That’s a kind of science communication! Do you find that this non-competitive atmosphere makes your position more enjoyable, and more engaging? And do you ever learn anything from the partners you work with? A: At the Mars Global Food Safety Center, being non-competitive means that we aim to share and communicate the results of our work in the public domain to help raise the bar for all. This creates a very positive environment for the food industry and the food supply chain, as well as for scientists to conduct their research. We believe that food safety is a basic human right, and we actively seek to work collaboratively with other entities to ensure safer food for all. As a research scientist, in such an atmosphere, I have more space and resources to think, discover, and solve real problems and challenges in food safety. I can communicate and collaborate with other scientists or experts even from other companies or institutions, which makes my work more effective and engaging. In return, I experience great support and encouragement from my partners, and I believe that together we really can help provide more people with access to safe food. Q: I was told that you were also involved in other forms of science communication. You work with the ‘China Children and Teenager’s Fund’, and help these kids learn more about food safety. What does this job entail? Do you find that your work in this position is fruitful in your area? Why or why not? A: As a mother of two young boys, I firmly believe that food safety education needs to start from an early age. This could provide life-long benefits to the next generation. I’m very glad that I was able to take part in this mission by providing consultation and expertise to the ‘China National Children’s Food Safety Guard Campaign’, organized by China Nutrition and Health Food Association (CHNFA) and China Children and Teenager Foundation (CCTF). The Mars Global Food Safety Center is a key sponsor and initiator of this collaboration. Through the project, we designed interactive learning toolkits, video and painting books with food safety information for the children. The materials have been rolled out to more than 8 provinces in China, covering tens of thousands of kids, which makes me feel very proud. Q: What would you say the biggest challenge in your field is? Anything in particular? A: Some of the biggest challenges in food safety come from the global nature of the food supply chain, which today creates many common touch points among industry, regulators, customers, and consumers. More than ever before, food and food ingredients are being shipped around the world. A food safety issue or risk from one raw material, one company, or one region, can now quickly expand to be a global problem. For example, my research projects related to mycotoxin caused by the fungal contamination of grains such as corn, wheat, and rice, is a big concern for the supply chain globally. That’s why we are trying to work with our global partners in a more collaborative way than ever before. Q: Do you have any advice for those looking into pursuing your field of STEM? A: Follow your real passion and get to know what your true area of interest is. Try to find a mentor or coach throughout your career and use him or her as a role model that can inspire and encourage you to be the best version of yourself. And in your work life seek out sponsors, people that will look out for you, help plan your career path and work with you to help you realize your full potential. Lastly, do not forget to take a moment to enjoy your life and spend time with your family. *This post was not sponsored by Mars Inc. This interview is with Valerie Maldonado, Fruity Confections CBU Mars Wrigley Confectionery here in the US. Q: Valerie, first of all, I’d like to thank you for taking the time to answer some questions I had for you regarding your STEM job at MARS. My first question, since your job focuses on the development of new candy, such as Starburst, I have to ask: What does candy have to do with STEM? A: Making chocolate, candy, gum and mints is no different than cooking. Our role in Research & Development (R&D) is to ensure that we deliver high-quality products to millions of consumers all over the world. We have to apply science and engineering to guarantee that every product someone buys and tastes has the same great quality. Q: What was it that first got you interested in STEM? And when did you know you wanted to pursue a career in STEM? A: When I was in the third grade, we had the opportunity to visit a gum and candy factory in my hometown of Caracas, Venezuela as part of a school trip. I was so excited about the opportunity that I made my mom volunteer as a chaperone so that she could come with me too. I still remember the smell of bubblegum when we drove near the factory. That’s when I started becoming interested in how candies are made. My curiosity, along with an interest in math and chemistry, inspired me to pursue my degree in Chemical Engineering. Q: What steps did you have to take in order to reach your goals in STEM? through some of my classes as engineering coursework can be quite demanding. Many people are intimidated by the STEM fields because they believe you have to be extremely smart to get through school. Trust me, you will meet very smart people who are scientists and engineers, but the reality is that for the rest of us it takes more discipline and hard work than anything else. Once I started my career, I was usually the only woman engineer in my teams. I had to learn to be confident and to stand up for what I believe in. Being the only woman in the room can be very intimidating, especially when you first start out in the field – not only are you the only woman, but you’re usually the youngest person. Learning to be persistent has been the key for me in driving my career forward. Q: What exactly does being an “engineering consultant” mean? And in your current position as a “Senior Engineer Process Developer”, can you summarize what you do on a day-to- day basis? A: When I was an engineer consultant, I worked with a team of engineers from all fields (electrical, civil, mechanical and chemical) and construction managers to execute projects at different factories. I had the opportunity to work in a wide variety of industries as the company operated in many fields: my first project was an oil spill cleanup and from there I worked on projects in soap, ice cream and engine oil manufacturing. It was a great place to learn and use the technical skills I had gained from my engineering education. In my current role as Senior Engineer, Process Development, I’m either in the office, factories, or our pilot plant in Chicago. While I am in the office, I am typically collaborating with different team members working on our future innovations. I have projects that are four years out, but I’m also working on initiatives that are currently getting close to launch. I travel to our factories across the globe to test new processes and formulas as we work through product and process development. I enjoy going to our factories and working with our teams at the sites to bring the formulations we have tested at a small scale in our Chicago pilot plant to life at scale. Q: What kind of technology and equipment goes into candy making? A: There is a lot of technology that goes into making our products in a consistent manner for millions of consumers all over the world. For making fruity products such as Starburst and Skittles, technology helps us make the toffee base, remove moisture and shape the products into their final form. I have always been impressed by the packaging machines we use for wrapping gum, which can wrap thousands of pieces of gum in one minute and move at such highly efficient speed. emphasizing that you don’t have to be a ‘certain way’ to work in a STEM field”. Can you elaborate on what you mean by that? A: There are stereotypes that are attached to the people who pursue careers in the STEM field. Being interested in science hasn’t always been the “cool” thing to do. My sophomore year of college, I met a friend in one of my chemical engineering core classes who later told me he thought I was lost when I entered the classroom the first day. He had firm reasons to think so: women were the minority in engineering classrooms at that time and I am Latina. Throughout my career I’ve been asked if I’m in marketing or sales and people are usually surprised when I say I am an engineer. I strongly believe that regardless of the field you go into, you can be yourself and we should all embrace what is unique about us regardless of stereotypes. Q: If you were to give advice to someone who wanted to work in this field, or a similar one, what would you tell them? When kids think of the modern scientist — who do they think of? Usually, Bill Nye the Science Guy will come to mind (and why not? His catchy theme song has infected the minds of all American kids since 1993). That …may be it. Some kids may know of Stephen Hawking, Neil Degrasse Tyson, or Michio Kaku. The pattern? All of these modern day scientists have one thing in common: they are all men. Stephanie Espy set out to change that. With this book, she reached her goal and did it spectacularly. Out of graciousness, I was sent a copy of this book. Because my life was so hectic, it took me a while to actually get around to reading it, but when I did — I had a hard time putting it down when real life called me to get some work done. 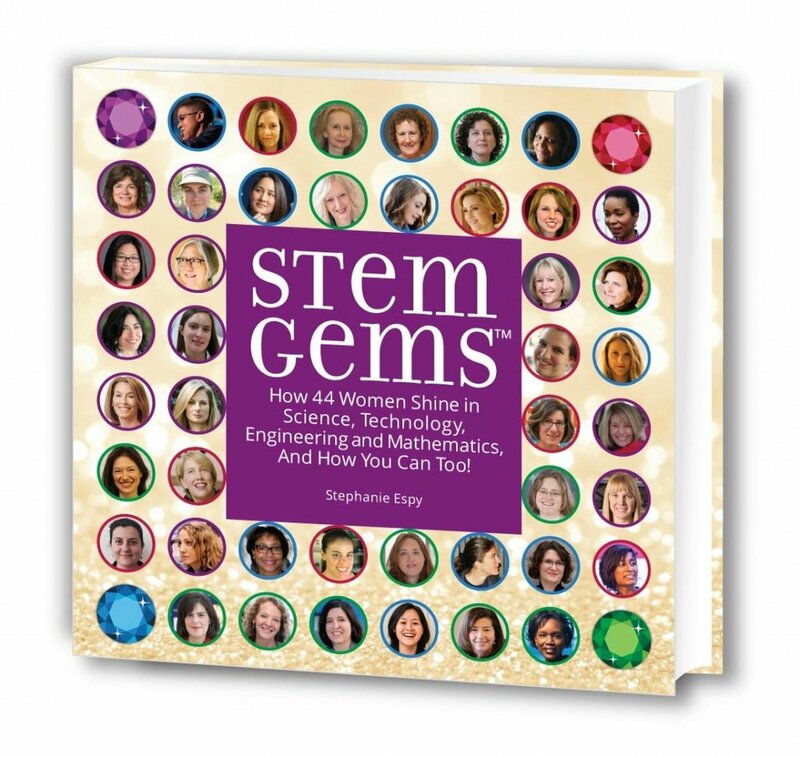 These short biographies of these women in STEM give a fun look to their lives, their positions, and their passions. However, not only did Espy provide 44 role models in STEM from all sorts of walks of life — she does something else for the readers, too. Past all of the bios is advice that Espy has written specifically for the girls who pick up this book. Advice towards who to get started in STEM, and how to keep up with your goals in these fields. Taking the stories from the 44 gems, and creating practical guidance from them. This books is excellently written on top of it all. It kept my attention, and it taught me about these women effectively. It’s bound to keep the attention of children in class, and it really should be required reading, or at least suggested reading for science classes. It would also be an excellent choice for a book report. I keep mentioning children reading this, but really, it’s fantastic for all ages. The writing doesn’t talk down to the reader in the least, and everyone can learn something from it. My guess is that most people who pick up this book haven’t heard of all of these women — if they’ve heard of any of them to begin with. Consider supporting Stephanie Espy in her efforts buy purchasing her book here. You won’t be sorry you did it. *Mariah was given a copy of this book to read and review for free. This post is otherwise non-sponosered. 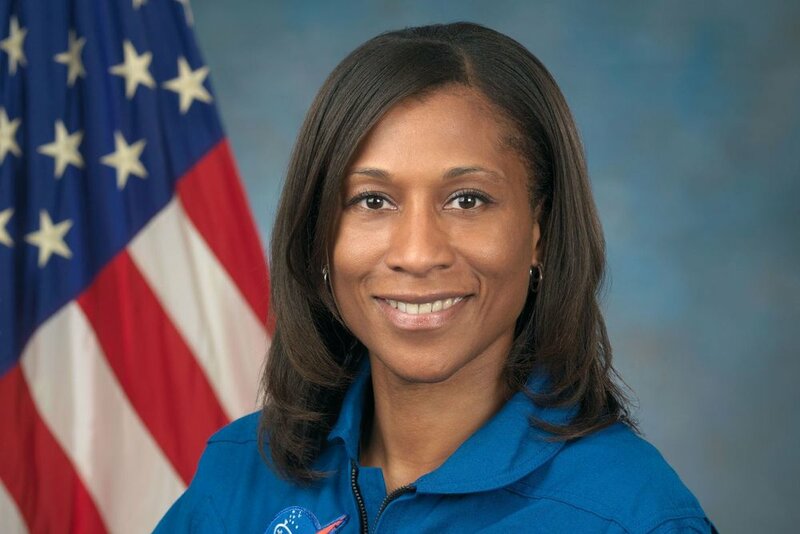 It was a big deal to many when it had been announced that Jeanette Epps was going to be the "first black crew member to live on board the International Space Station". On Thursday, January 18th, however, it was announced that she would no longer be going to the International Space Station in June of this year as previously scheduled. Instead, she would be a candidate for later assignments, while fellow astronaut Serena M. Auñón-Chancellor would be taking her place. NASA did not make a comment as to why this crew change had occurred, but according to the Washington Post, Epps' brother had accused the organization of racism in a (now deleted) Facebook Post. He had stated: “My sister Dr. Jeannette Epps has been fighting against oppressive racism and misogynist in NASA and now they are holding her back and allowing a Caucasian Astronaut to take her place!” In addition to this statement, he had linked to a moveon.org petition that is hoping to reinstate Epps on this crew to the ISS. As of the writing of this post, the petition is hoping to gain 3,000 signatures, and has 2,379 signatures at the current time. Others had speculated that the crew change could have been due to health or family reasons that NASA would not announce on and that Epps may want to keep private. However, according to the aforementioned Washington Post article, Epps stated that there had been no health reason or family reason to keep her behind. She also said that she would not comment on her brother, Henry Epps', post about the situation. The only thing she did comment on regarding her brother's post was that no one in her family had created the petition he linked to. It's important to note that Epps' removal from this mission is not something that is an isolated incident. Many astronauts have been bumped from missions before for various reasons. Miriam Kramer, writing for Mashable, notes in one of her articles on the situation that NASA's Ken Mattingly was pulled from the Apollo 13 crew just a few days before their scheduled launch because he was exposed to German measles". There's reason to believe that Jeanette Epps is not going to be excluded from future missions. Former NASA administrator, Sean O'Keefe, says that these crew changes are common, and most of the astronauts go on to go into space at later dates. "The exceptions are very few and far between," He said. It's more than likely that we will not get an official reason from NASA themselves, as they often do not comment on the crew changes. O'Keefe has a couple speculations of his own, however, as to why Epps was replaced on this particular mission happening in June. One of them was the idea of a health concern, which as previously stated, Epps debunked herself. Another, however, stated how Epps and Auñón-Chancellor had different skill sets that may have determined who was better suited for this specific assignment. "Dr. Epps is an engineer. The astronaut replacing her is a medical doctor. [It] could well be there are now more human factors research projects on the mission manifest than material science research." Of course, though, he cannot say for sure what the reasoning was for Epps' replacement. 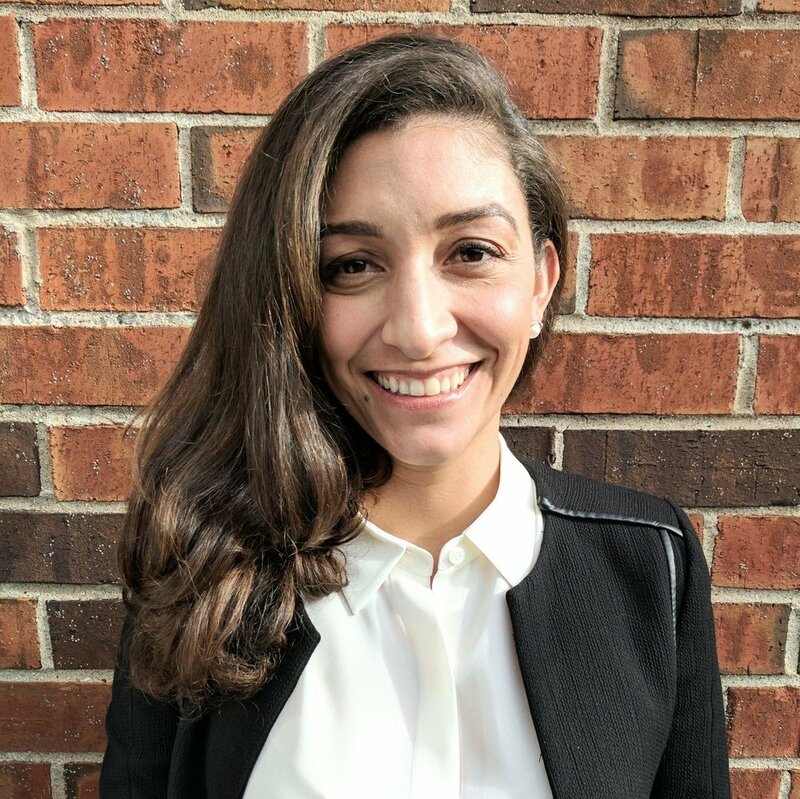 Mariah Loeber is the Founder and Editor-in-Chief of FemSTEM.com. She studies English and is a huge fan of things STEM. Find her on Twitter. Smartwatches, love them or hate them, are becoming a huge part of our day to day life. Many people have them, and companies are making more and more apps to go along with them as the days go on. However, for someone who cannot see, they’re very difficult to use. Though voice control on many of the devices (like Apple’s Siri) may aid in allowing those who are blind to use a smartwatch, it’s still not something created with them in mind. The company Dot thought about this, and they’ve developed a smartwatch for blind users. Eric Juyoon Kim, the CEO of Dot, had a classmate during his time at University of Washington who was vision-impaired. Watching his classmate having to lug around a big braille book while everyone else sported tablets struck him. Accessibility for the blind to have technology like tablets is still an issue. Certain existing devices aimed at remedying this are usually very expensive, and Eric wanted to make something more affordable and accessible for those who needed it. Dot is a small start-up company at the moment, but they have a great team of engineers working on the project alongside Eric. They’ve also won various awards for their work since 2014, including at the London International Awards in October. The smartwatch is a Braille watch, that has the Braille text right on the watch face for users to touch and interact with. It’s meant to be as unlimited as possible in its potentials. Dot has created a new technology in order to make this watch work the way they want to. Their developed technology lessens the size needed for the device, making it not bulky or heavy (their product is 12.5mm thick and weighs 27g). They also developed this technology to be less expensive, and therefore make it more accessible to everyone, while uncompromising on the device quality. The target price of the Dot Watch will start from $300 before tax, and Dot plans to keep the price range consistent across the global market. The watch will display text messages, social media notifications, and other text-based notifications, allowing the user to read whatever they need to right on their wrist. And, of course, it will also display the time in Braille as well. It also works with both iPhone and Android devices. For now, the product will be available in both English and Korean. They plan on bringing more Braille languages to the table, such as Japanese, Arabic, French, German, Dutch, Chinese, and more. You can currently Pre-Order the device here. Since the price has not yet been set, pre-ordering the smartwatch will not contractually bind you financially. There will be a 10% discount, however, if you do decide to pre-order the Dot Watch. Marked on their website’s about page is a quote from Stevie Wonder. It states: “We need to make every single thing accessible to every single person with a disability”, and Dot plans to do just that. It will be great to see how far this product goes, and how many people it will help. Since the original publishing of this article, CODE ANGEL was successfully funded, and can be found here. 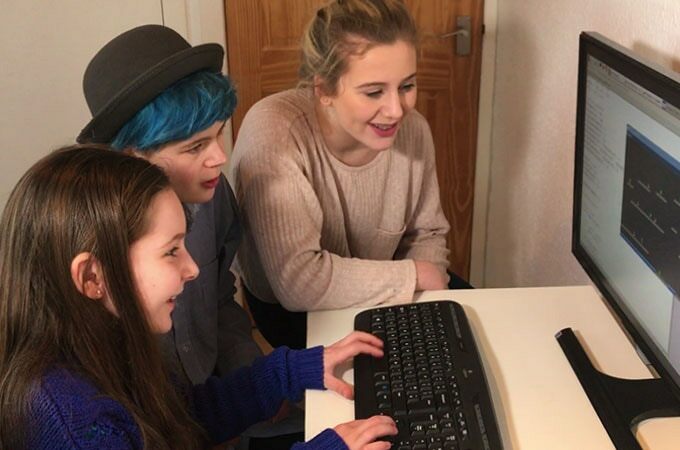 Learning to code has never been easier than with a Raspberry Pi computer. These computers, the size of a credit card, are designed specifically to teach children how to code. In this day and age this is, of course, something incredibly crucial to learn, considering how much we use computers every single day. Schools in the UK have used Raspberry Pi in their classrooms, but there isn’t always enough time to actually teach coding properly. 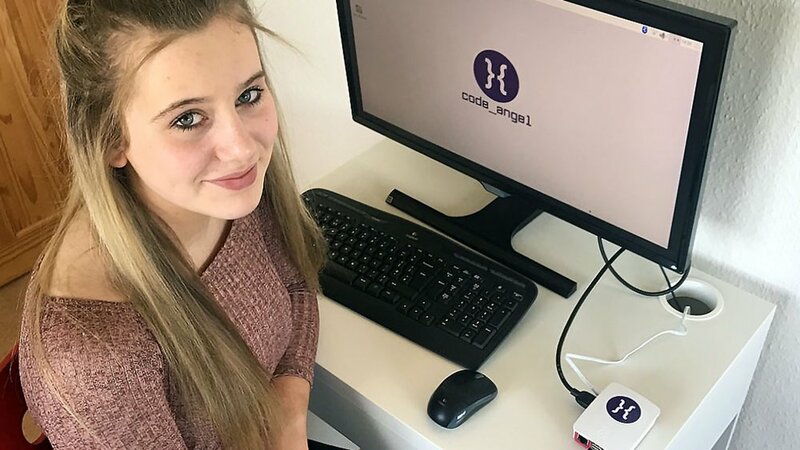 However, with Code Angel, your child can learn to do this on her own, at home, on her own time using the Python programming language. Currently, Code Angel is a Kickstarter project that launched today at 15:00 GMT, or 11am EST. It was founded by Mark Cunningham, who had the idea to teach “the principles of computer programming through 12 amazing game projects”. The game projects include (but are not limited to) an Alien Invasion Game, Tic Tac Toe, and Mini Golf. When you purchase Code Angel (which will be about 25£ — about ~$32 — at the time of its release) it comes fully loaded with everything your child (or even yourself) will need to learn how to code these games. The code of each game is explained by computer science teachers via video, teaching your child beforehand how to code the game so that they can learn as they go along. And learning how to code games specifically should keep your child more engaged than a typical coding course. What if you’ve made a mistake, and you can’t figure out what you’ve done wrong? Code Angel themselves will explain how to fix your bugs if you upload the code to their website. Every graphic needed for the game, and every sound needed, are already availiable with Code Angel when your purchase it — all you have to do is implement the code. There’s two different ways you can purchase Code Angel as well. There’s Code Angel in a Box, which gives you your own personal Raspberry Pi computer and everything else you need to start right from the box. There’s also Code Angel Digital, which is perfect if you already have a Raspberry Pi. This form of the program allows you to download and stream the content from Code Angel’s website. Mark Cunningham decided to do this project out of a place of passion. “Code Angel is not gender specific,” He told me. “[But] as a Computing Science teacher and father to [two] girls I am passionate about getting girls into coding/computing”. You can visit their Kickstarter to support them here! There are a lot of great perks if you decide to help fund the project. You can also visit their Twitter account here to get more updates on the project as it moves forward, and also check out their website! But What If She’s Just Not Interested in STEM? Every day there is more and more encouragement on the internet and other forms of media for girls to get into STEM fields and to thrive in them. From shows on PBS, to Twitter threads and Facebook groups, and lots and lots of news stories about girls thriving in STEM in order to encourage other girls to get into STEM. This …might be a cause of some anxiety for some parents depending on some things. What if she’s just not interested in STEM? The fact is, we should all be interested in STEM to some degree. Not only will some interest help us get through our schooling (if I had more of an interest in Math, it would have helped me a ton), but there’s something we need to face. STEM is in our every day lives, whether we like it or not. Without STEM there would be no computers, or smart phones, or televisions. Without STEM there wouldn’t be the plants outside, or the pets within our houses! We wouldn’t even have our homes, if you think about it! Construction takes a lot of Science, Technology, Engineering, and Math! If we don’t have an interest in STEM at all, we don’t have an interest in a lot of life. Without you even realizing it, some of your interests (if not most of your interests) are going to be linked in STEM. This is also true for your daughters (and sons, of course). Another fact: Truthfully? Though we might not have a career in it, we all are scientists. Something to consider might be: is she not interested in STEM, or has she just not been exposed to it enough? There’s lots of ways to expose your girls to STEM that make it fun and enjoyable for them. More and more books about STEM are coming out for younger ages, and more and more programs exist to get girls into STEM. #GirlsWhoCode - A national non-profit organization dedicated to closing the gender gap in technology. STEM Girls Books - A company in development with three picture books coming out around Summer of 2017. Women in Science the Card Game - An original, fun and educational card game that includes 44 different women for your children to learn about! Plus an expansion pack! STEMBox - A monthly subscription box that sends science experiments to your door. Beyond Curie Posters - A slew of posters of women scientists. Perfect for a classroom, or a bedroom! Sasha Tech Savvy Loves to Code - A children’s book that hasn’t been released yet, but should come out soon! Launch Ladies - Another children’s book (for very little ones) that will be released soon about Women in Space. There should be NO PRESSURE for your child to have a career in STEM. Everyone is different, everyone has different interests, and not everyone wants to be a scientist for a living. That’s okay — of course it is. There’s been a bigger push for women to come into science lately, but that’s because there’s a lot of opportunity there and everyone should know that this is an option for them if they want to go that route. But if they don’t — that’s of course okay. We’re going to continue to encourage girls to be interested in STEM, but there’s no pressure.